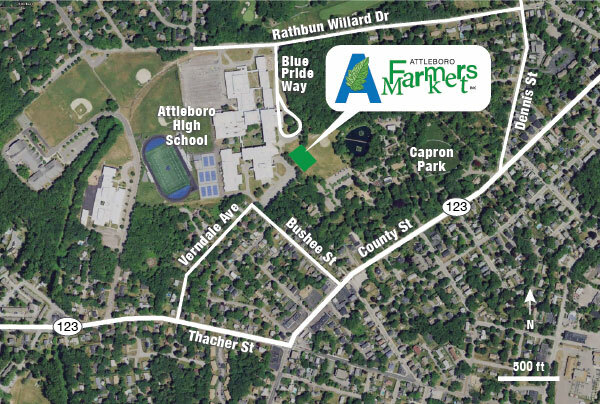 Located in Attleboro, Massachusetts on O’Connell Field in Capron Park and adjacent to Attleboro High School. 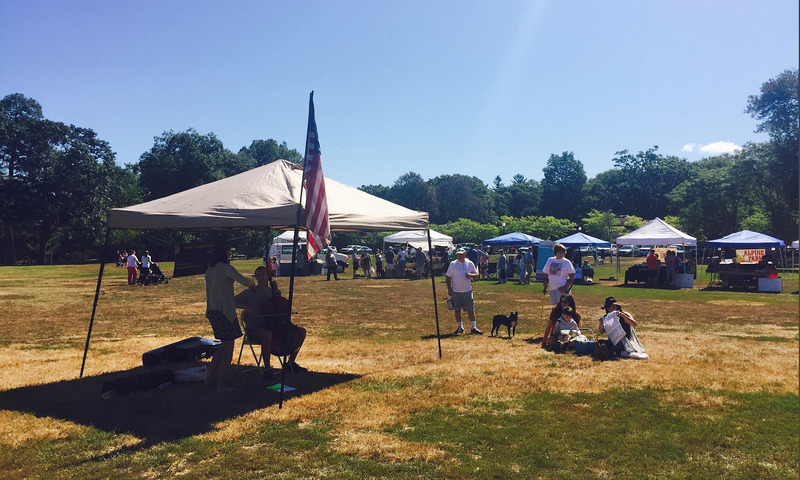 The Market is open 9 a.m. to 1 p.m. from mid-June through October. See the current calendar for the dates. Parking is available in the high school Bushee Street lot and along Blue Pride Way (bus entrance to the high school) as well as in Capron Park. Dogs can bring their responsible owners (Attleboro has a city ordinance, all dogs must be restrained with a leash at all times).